After tearing off 11 wins in a row, Utah is 1.5 games out of the playoffs. Will the Utah Jazz ever lose again? With their 107-97 win over the Phoenix Suns last night, The Jazz have extended their streak to eleven games. They currently sit at 30-28, and are just a game a a half back of being in the playoffs. They enter All-Star weekend as the NBA’s hottest team, and sit in great position to make a run at the playoffs in the next coming weeks. The crazy thing about this winning streak, is that the Jazz have won in about every way possible. They have had nights when they shoot lights out and score 120+ points. They have also had nights where they shoot 29 percent from three (last night) and still grind out wins. Good teams figure out how to win games. 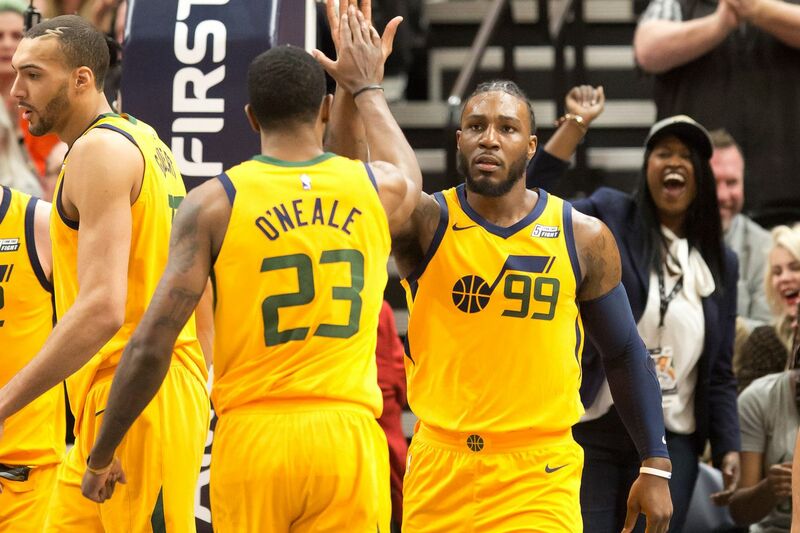 The Jazz were not doing that for the first half of their games this season, but have appeared to figure out how to pull out wins in various situations. The Jazz are hoping to get Ricky Rubio back from a hip injury as soon as possible, as well as the return of Dante Exum from his shoulder injury that has kept him out of the season so far. Staying healthy will be a huge factor in the Jazz’s playoff chances. SALT LAKE CITY — It wasn’t pretty, but the Utah Jazz will enter the All-Star break on an 11-game win streak after beating the lowly Phoenix Suns 107-97 Wednesday night at Vivint Arena. Turning point: With the game tied at 77 and just over 10 minutes remaining, the Jazz went on an 8-0 run. The Suns got to within three on multiple occasions thereafter but couldn’t get over the hump. The hero: Donovan Mitchell led a very balanced Utah attack with 24 points, including five in the final three minutes. Phoenix guard Devin Booker led all scorers with 28 points. • The Jazz won the rebounding battle, 54-41, with Rudy Gobert pulling down 17 and Derrick Favors 12 to lead the way. • While the Suns made 12 3-pointers compared to 10 for Utah, the Jazz countered that by outscoring Phoenix 52-40 in the paint. • Utah finished with six players in double figures while the Suns had four. When I last saw the Utah Jazz in person a little over a month ago in Miami, they were surprisingly upbeat for an injury-riddled team about to drop to 16-24 six months after their homegrown star jilted them. They were frustrated, sure. Rudy Gobert, injured again, overflowed with fidgety, pent-up energy. Welcome to The Outlet Pass, a weekly roundup of observations, questions, and predictions from Michael Pina's NBA notebook. The buyout market is, in my opinion, two degrees short of an abomination. In year's past but significantly so this season, it short-circuits activity leading up to the trade deadline, allowing teams that can otherwise afford to part ways with a long-term asset the opportunity to add players without any risk. Why shouldn’t the Philadelphia 76ers have to give the Atlanta Hawks some sort of compensation? Atlanta shrewdly acquired Marco Belinelli's expiring contract in a Dwight Howard trade; the system should be set up to force interested buyers to offer some piece(s) that can add momentum to their rebuild. 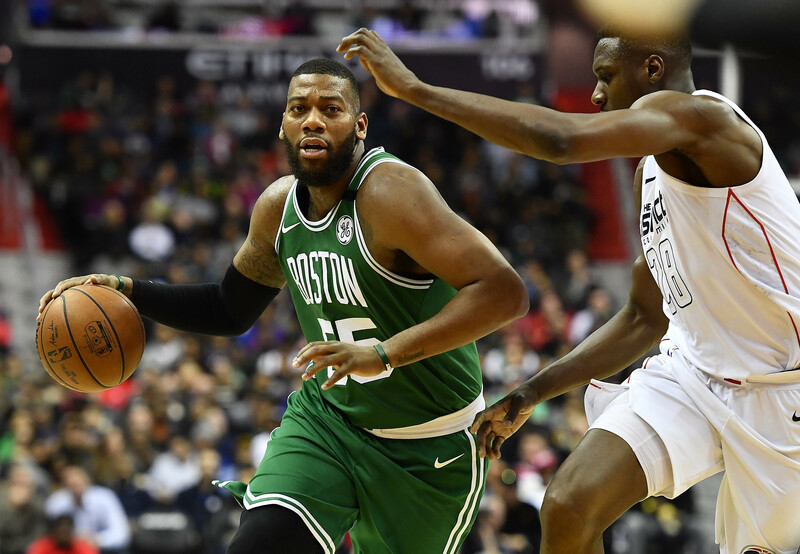 Why should the Boston Celtics not have to surrender a single draft pick for Greg Monroe? Doesn’t it make more sense to let the Sacramento Kings take calls for Joe Johnson? It's obviously more complicated than that, and a disproportionate trade market crossed with the Golden State Warriors' shadow surely factored into the lack of transactions. Large salaries would hold up most contenders from being able to afford players like Monroe, but maybe we can sidestep this dilemma by implementing a rule that draws from the amnesty clause: Each season all 30 teams can shop one contract on their books to anybody else—whether they’re capped out, above the tax, whatever—without having to match salaries. For example, the Suns know they can’t get anything for Monroe, so they use this hypothetical provision on his deal and then move him to whichever team offers the most attractive assets. Monroe would come off Phoenix’s cap but the Suns would still pay him whatever’s left on the contract, while his new team would take him on for the veteran’s minimum. 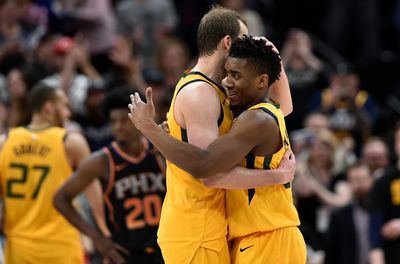 Three thoughts on the defensive plays that won the game for the Jazz, the Derrick Favors/Joe Ingles pick and roll play that was printing money for the Jazz (with an assist from Rudy Gobert), and overall thoughts on the Jazz's 10-game winning streak.